Enhance the health and wellbeing of you and your family with this super efficient all-in-one blender and food processor. 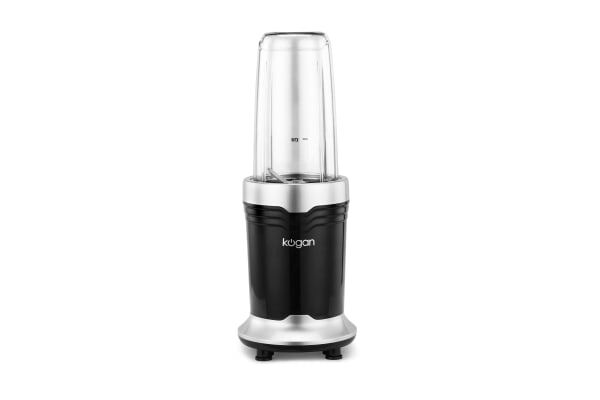 With a powerful 900W motor to pulverize whole fruits and veggies, seeds and nuts the Kogan Rocket Blender – Pro is our most powerful Rocket Blender yet. 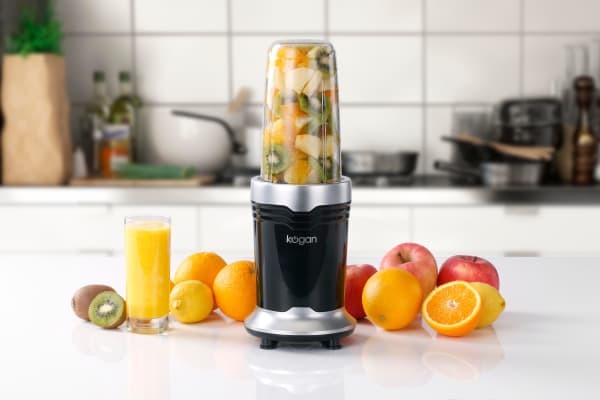 Make fiddly chopping or health-boosting smoothies an absolute breeze with the convenience of a single-speed setting and interchangeable blades. It’s a bit bulky but it blends incredibly well and it’s great having the interchangeable parts. I used to have a kambrook blender and this is so much better.